Heat oil in a frying pan & fry the ginger & garlic for 1 minute. Add the onions & fry for 2-3 minutes, until their colour changes. Now add the carrot, cauliflower & baby corn & stir-fry for 4-5 minutes on a medium flame. 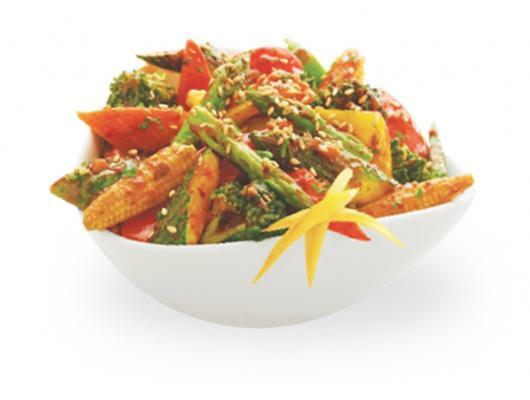 Mix in the Ching’s Secret Red Chilli Sauce along with the rest of the vegetables. Stir-fry on a high flame till all the vegetables are coated. Adjust salt. Sprinkle sesame seeds before serving. Dragon Vegetables Recipe is a great recipe for starter and for a snack. 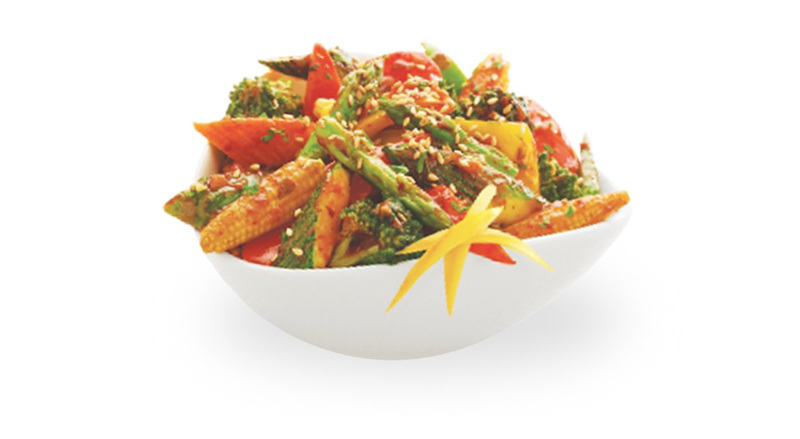 Chinese style Dragon Vegetables Recipe is the type of salad you can enjoy the main meal. The recipe for Dragon Vegetables is easy and quick to make. Quick and easy Dragon Vegetables Recipe.